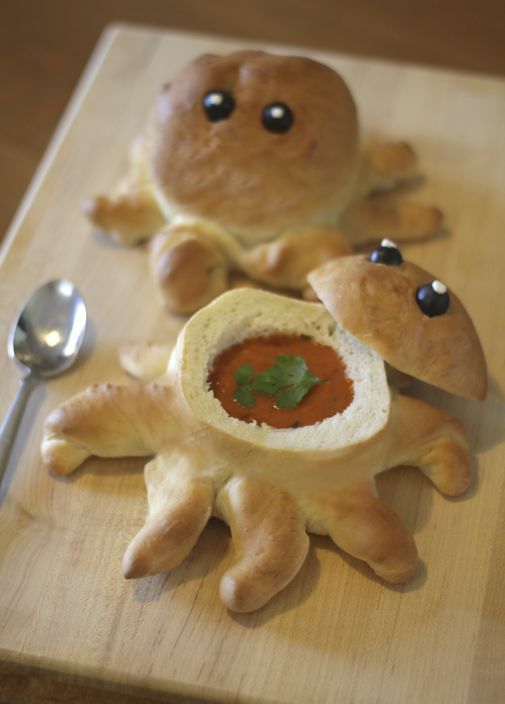 Here's some fun, octopus and penguin-shaped bread bowls I created to make your soup day even more super. The complete tutorials are available at SheKnows. 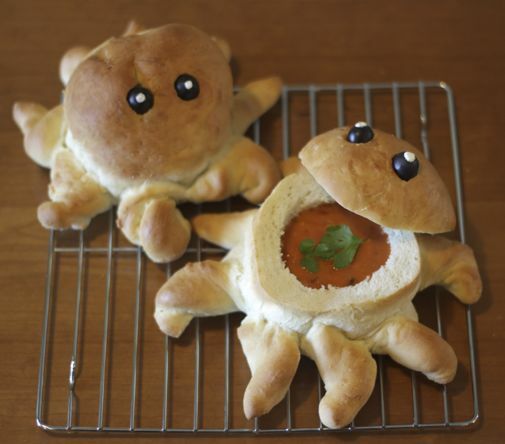 Bonus: no bread-baking skills necessary! 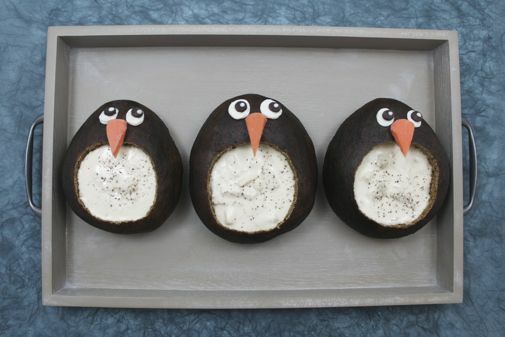 You can easily make these with a package of frozen Rhodes Rolls from the grocery store. 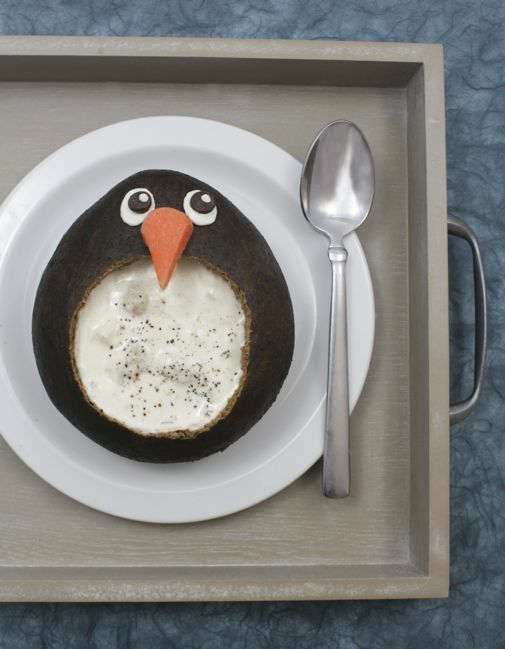 I did make a dark pumpernickel rye dough for the penguin bowl, but even that wasn't difficult. Just throw all the ingredients in the bread machine and let it do all the kneading and rising for you. The rest is just shape & bake.